Around the globe, mobile technology is reshaping lives. For the affluent, the smartphone and the tablet have emerged as the dominant means of communication. The introduction of the iPhone six years ago forever changed what was imagined possible, and Apple now faces stiff competition from Google’s Android and such would-be rivals as Microsoft and Mozilla. On the device side, the pioneers of computing are pitted against traditional phone makers as well as startups that have emerged in the smartphone era. Meanwhile, in other parts of the world, the rise of sub-$100 smartphones means that billions more will have their first connection to the Internet. And the basic cellphone not only delivers communication but also provides a channel for previously unavailable information about health care, weather and crops. Like the signature D: All Things Digital event, D: Dive Into Mobile, running today and tomorrow, pointedly avoids the usual slides and speeches, instead spotlighting candid interviews with an array of the most interesting and outspoken execs in the business. 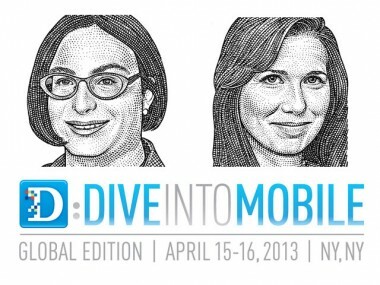 The first D: Dive Into Mobile event, held in 2010, explored the dawn of the smartphone era. This year’s Global Edition will look at the broader impact mobile technology is having on how day-to-day life is carried on across the world. This event was originally slated for last October, but Hurricane Sandy forced a sudden change in plans. We are immensely grateful to all of the speakers, sponsors and attendees who stuck by us. We promise that things will be even better than what we originally had planned for last fall. D: All Things Digital founders Walt Mossberg and Kara Swisher will spend time in the red chairs, to be sure. 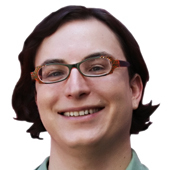 But they have graciously allowed much of the conference programming to be crafted by the two of us, Ina Fried and Liz Gannes, who spend much of our time reporting on and writing about the world of mobile. Together with Walt, Kara and the growing AllThingsD staff, we look forward to bringing you the stories and strategies behind this global mobile shift. Over the next two days, you’ll hear from some of the biggest names in mobile technology. Fresh from his travels to North Korea and beyond, Google Executive Chairman Eric Schmidt will be able to address Google’s wide-ranging mobile efforts, from Android and Chrome to AdMob and YouTube. Long dominant on the desktop, Microsoft and Intel have each had their own struggles in mobile. Intel’s Mike Bell and Microsoft’s Terry Myerson will appear separately to make the case why their company shouldn’t be counted out. Facebook’s newly minted Chief Technology Officer Mike Schroepfer will address the challenge — one that’s now closely watched by Wall Street — of following the migration of his company’s users from Web to mobile. Meanwhile, browser maker Mozilla is trying to shake up the phone market like it did the Web browser market, by introducing an open alternative to dominant operating systems. You will also hear from a range of speakers who will talk firsthand about how mobile is changing the lives of the young, the poor and those in crisis. We’ve invited Nancy Lublin from the teen activism organization DoSomething.org, along with Juliana Rotich, the Kenyan founder of open source crisis-information service Ushahidi. Our Global Voices segment will give a place onstage to individuals whose lives have been personally transformed by mobile technology. This is a new project for D that aims to share some of our business and tech spotlight with the real-world people who are the reason all this technology is created in the first place. And, of course, D: Dive Into Mobile will bring together some of the smartest people in the industry — in the audience. Our hope is that the talks onstage will be the start of a dialogue that continues into the breaks, over the meals, and long after the red chairs have been hauled away.